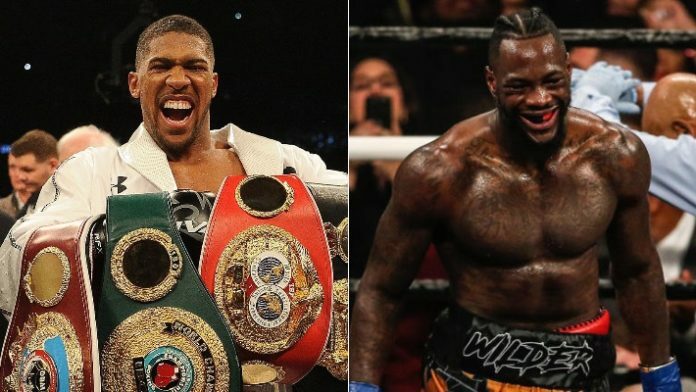 Boxing promoter Eddie Hearn believes that a heavyweight collision between Deontay Wilder and Anthony Joshua does over a million pay-per-view (PPV) buys in America. A fight between IBF, IBO, WBA, and WBO heavyweight champion Anthony Joshua is what boxing fans want to see. However, for whatever reason, no such fight has been able to get made. Now that Tyson Fury has reemerged into the mix, even more dream fights have begun to materialize. Speaking to Boxing Scene recently, Joshua’s promoter, Eddie Hearn, spoke about a possible bout between Joshua and Wilder. “AJ against Wilder last September might have done 300-400,000 buys in the States. Now it does over a million. Part of that is down to Wilder and we give him that respect, now it’s down to what we do over there to amplify that,” Hearn said. Joshua is currently undefeated in his boxing career with 22-straight victories. 21 of those have come by way of knockout. As for Wilder, the WBC heavyweight king has won 40 of his 41 career fights, with his bout against Tyson Fury going to a draw. Much like Joshua, all but one of his victories came by knockout. Wilder and Joshua have been teased to fight each other for quite some time now. Hopefully, 2019 is the year to two heavyweight kings finally share the squared circle. What do you think about Hearn predicting over a million U.S. PPV buys for Joshua vs. Wilder?